In today’s economy, businesses need to be efficient in every aspect of its operations to gain an edge over their competitors. What happens if the company is not able to focus all its energy on its core competencies? The answer is stunted growth and probably in due time, obsolescence. As per the Inbound Logistics’ 12th annual 3PL market research report, in the US, consumption has been inconsistent and volatile even as the manufacturing industry rebound from the recession. Stores were slow to clear their inventories and replenish. As a result, the stock and corresponding stock-to-sales ratios moved upward while cargo volumes fell behind. There have also been a lot of changes on the regulatory front too. In such volatile economic conditions, 3PL(Third Party Logistics) companies exhibit a greater influence, helping businesses adapt to these changes. From warehousing & distribution to transportation; from pick and pack solutions to complete co-packing solutions, 3PLs offer a complete package. They have been serving myriad of industries including manufacturing (92%), retail (84%), and wholesale (76%). E-Commerce (65%) is a fast-growing niche as fulfillment complexity, and customer service expectations continue to grow while borders are being transcended. By zeroing in on a fulfillment partner and agreeing with them on a performance plan with mutually defined metrics that determine the relationship’s success, businesses can set aside their worries and concerns about the non-core functions. This enables them to focus more on their core competency. They would be able to save capital, as an investment in logistics assets, such as warehouse space, information networks, transportation, and staff, usually needs large and lump sum costs. When these functions are outsourced to 3PLs, it frees up a lot of capital which could be invested in bettering the businesses’ core competencies. 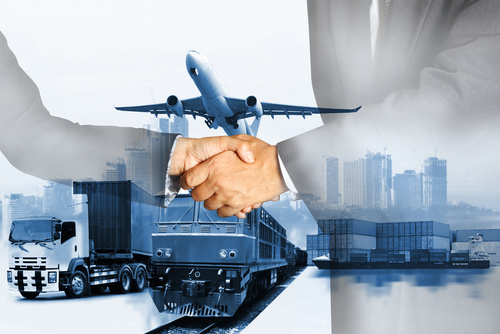 Furthermore, the 3PL providers, in turn, can spread the risks by outsourcing to sub-contractors. In 2017, 66 percent of 3PL survey respondents of the Inbound Logistics’ market survey cited technology investment as their top priority. With demand behavior changing, how businesses deliver products and services to market coupled with the ever-changing demographics and digital disruptions at the point of sale, industries are being constantly challenged. From in-house, patented data analytics engines to private-labeled TMS systems hosted in the cloud or on-premise, or managed as a service, 3PLs are continuously upgrading in order to stay in the competition. With 3PLs offering shopping cart integrations, smart order fulfillment, integration with the best in class shipping companies like FedEx, UPS etc., E-commerce Fulfilment has become speedy, accurate and economic. An excellent example is the automotive industry where big names like GM, Ford, and Toyota are associating with technology giants like Google and tech entrepreneurs like Tesla and Uber to reshape the way people and goods move. The political volatility seen across the world is impacting today’s logistics outsourcing paradigm. Protectionism is the buzz word which threatens the age-old perceptions of globalization as supply chains become more demand sensitive, risk-averse, environment conscious—and of course, local. The manufacturers and retailers are also continuously scanning for new markets worldwide to sell into and distribute through at minimal costs. 3PL providers constantly enhance their resource networks via technology and partnerships to ensure efficiency is maximised, to mitigate risks and execute contingency plans when exceptions inevitably arise. Their vast resource networks spread across the globe has advantages over in-house supply chains making it easier and cheaper for businesses to enter evolving markets. They are able to offer volume discounts which in turn reduce overhead for the businesses and assure fast and proficient service; you get access to resources which would otherwise be out of bounds or very expensive. With the utilization of a 3PL, you have the ability to save money by eliminating the need to invest in physical distribution centers, technology, transportation, and staff required to execute the logistics process which involves financial risks. You also do not need to worry and spend time on the nitty-gritty of paperwork, audits, staffing and their trainings as well as optimization in these operations, for this is an area of expertise for 3PLs. This helps the business to build a worldwide logistics network where the risk is lower and the returns higher. Non-sales related call activities; receiving, checking and managing your inventories; pick and pack, co-packing, order processing, and fulfilment activities; delivery and tracking are some of the activities that are expertly handled by established 3PL companies, thereby, freeing up your time and money to focus on product development/sourcing, marketing, and increasing sales. The “Amazon effect” has only amplified the importance of speed and agility in today’s marketplace. The stress of high and low seasons, scaling space, labor and transportation as per the inventory requirements could affect the health of businesses. 3PLs are masters at coping with change and have the required resources at hand to make the necessary alterations to every scenario thereby ensuring efficient order fulfillment. If a business needs additional space to scale up their operations, a 3PL provider is a just call away and would be able to take care of it in a jiffy making the businesses more flexible. 3PLs have the ability to improve almost every aspect of the supply chain, ensuring that your needs are met as quickly as possible in the most competent and cost-effective way. They can help maximize margins, reduce wait times, and gain more satisfied customers, thereby, creating robust, successful businesses. When you work with a 3PL you’re essentially gaining all of their experience. Their process is already established and it’s one less thing that you’ll have to worry about.